Celebrate the spirit of Christmas with this Classic Board Book edition of Robert L. May’s famous sequel to the holiday classic, Rudolph the Red-Nosed Reindeer! Every year at Christmastime, everyone—young and old alike—has one catchy, joy-inspiring song stuck in their heads: “Rudolph the Red-Nosed Reindeer!” Fans of the most famous reindeer of all can travel to the North Pole again in this enchanting and uplifting holiday sequel! It’s another dark, snowy Christmas Eve and Santa needs Rudolph to guide his sleigh. But Rudolph’s nose has lost its bright red glow! Certain there’s no way he’ll be of any use to Santa this Christmas, Rudolph runs away. But on his journey, something magical happens. 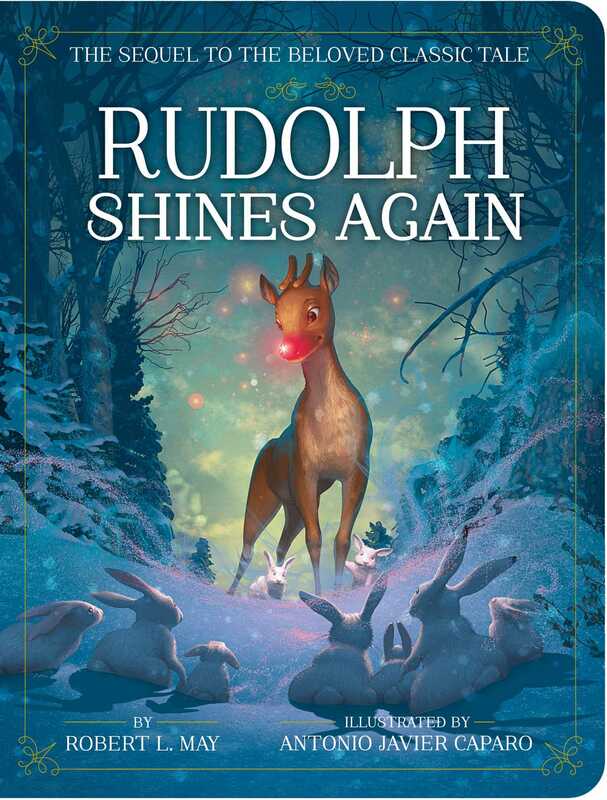 By helping strangers in need, Rudolph rediscovers his inner light and becomes a hero once more!